On 11th July 2010, 91,000 people will watch the World Cup in Johannesburg. But what does the rest of South Africa look like? 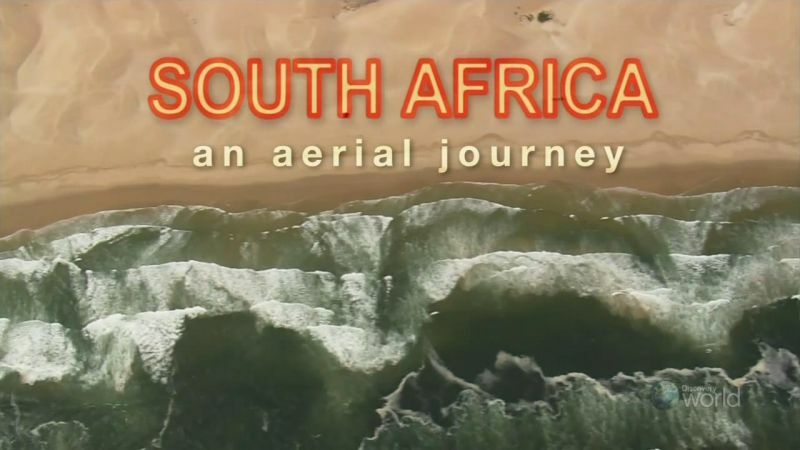 This is a beautiful and dramatic aerial journey showing that South Africa really is the Rainbow Nation. The journey takes in the incredible variety of landscapes in South Africa, from scorching deserts to lush forests for miles on end. Mountain ranges with jagged peaks stand in contrast to the open flat veldt where storms race across the grassland; deep canyons scoured by rivers thousands of years ago contrast with waterfalls created by seismic activity; and cliffs towering over the coast give way to glorious wide beaches and blue seas. Human life contrasts with animal life, as South Africa boasts one of the worlds greatest varieties of wildlife covering the alphabet from Antelope to Zebras. History is contrasted between bloody battles commemorated in the landscape with moving memorials, and others marking the first landings of European explorers. And standing in this varied landscape today are modern thriving cities contrasting with small rural villages seemingly unchanged for generations.